Enjoy your favorite blend of coffee or tea while sitting in the Latte Counter Chair from Zuo Modern. This exceptional counter chair boasts a leatherette seat with plush angled panels to help you relax while you dine at any kitchen countertop. Plus, the chair is offered in multiple dazzling colors, guaranteeing you can find a piece that matches your personal style without delay. 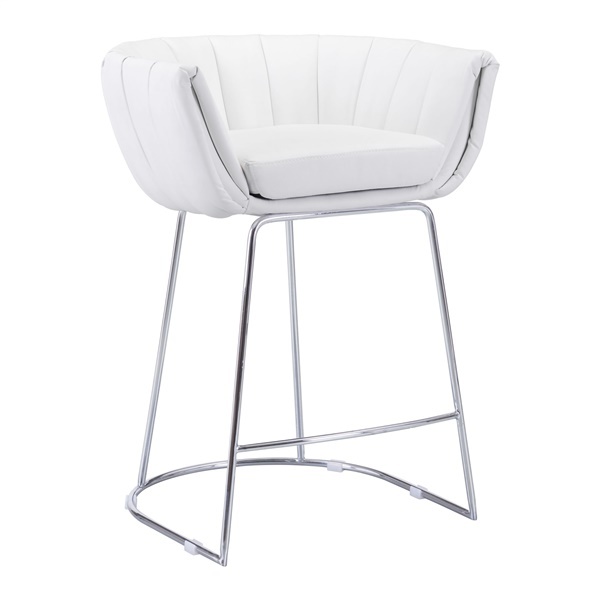 Select a top-of-the-line counter chair that sparkles � the Latte Counter Chair. Sleek, ultra-modern design makes the chair a great choice in a contemporary kitchen or dining room. Features a slim yet sturdy base that delivers long-lasting support. Includes a leatherette seat with plush angled panels, guaranteeing maximum comfort.